I used to have to go to the same great lengths with my children, when it came to vegetables. Once they were willing to eat curry or pasta sauces, it helped. 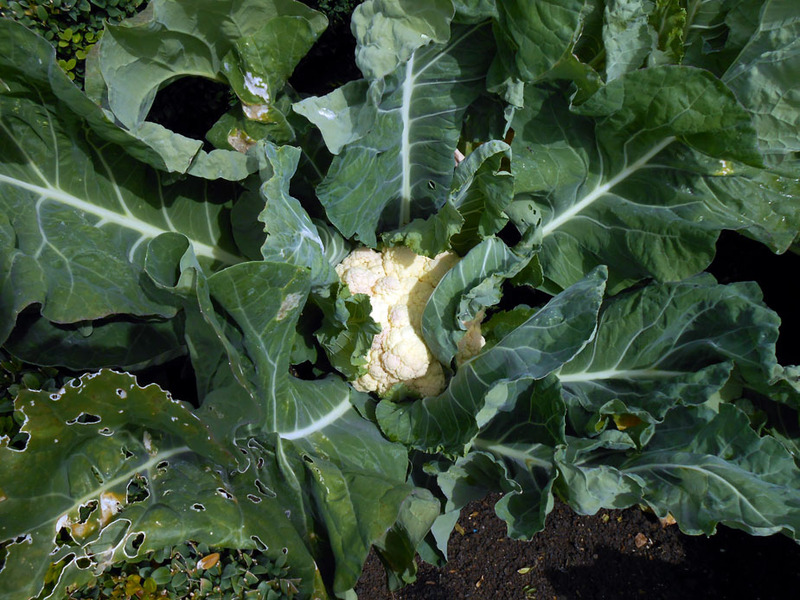 My son’s favourite vegetable used to be cauliflower, as he said it didn’t taste of anything! Now both my children are grown up, they’ll eat most vegetables, within reason. I love cauliflower and have never grown it! As I said to Joss in my comment, this particular cauliflower was grown by someone else, as I’ve only ever managed to grow one that turned black! My husband has had no success with growing them either, so we decided not to bother attempting to do so on our allotment. Plenty of other yummy things grow perfectly well, and cauliflowers aren’t that expensive to buy. That particular specimen was in a kitchen garden attached to a manor house. It was a posh cauliflower, grown by a professional gardener. I’ve never managed to grow a cauliflower, other than one that turned black. The interesting thing is that slugs are no respecters of social class! hehheh. Mine always got eaten by white moths. Thank you, Sunshine 🙂 I’m so glad you enjoy them. My intention is to give people something short, sweet, and positive to start the week, but I’m sure they’ll do for any day! I admit to them not always being written by the end of my Monday morning, but I’m sure they end up published during someone’s morning, somewhere in the world! If it had legs, it would run away, like the vegetables in the “Garden Gang” books I used to read to my son when he was little!